Holy cow, I have to agree with Lawrence Yun on quite a few points that he made during the release of the monthly Existing Home Sales Report last week. Dr. Yun, the chief economist for the National Association of REALTORS® explained that existing home sales in March were down compared to March of last year, and there exists more than 8 months of supply of homes for sale at a national level. low-downpayment loans should continue to be available for those consumers who have demonstrated financial responsibility and are willing to stay well within their budget. And this is exactly opposite of what is occurring in the mortgage markets. 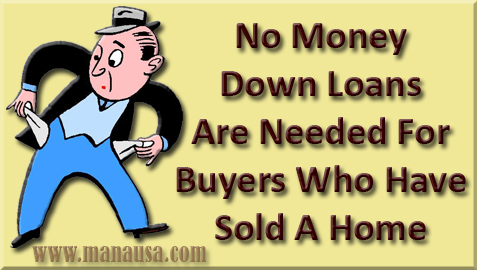 The amount of cash required by homebuyers at closing is on the rise, and I believe changing the down-payment requirements on loans that traditionally have had a low default rate is now hurting the market as much or more than any other singular factor. As I wrote in "Housing Market Needs New Type Of Fix" one year ago, the absence of no-money down loans has put a squeeze on the real estate market. The following short video was released by NAR, and it contains Dr. Yun's commentary on the state of the housing market and the report of existing home sales through the month of March.